Unlimited by JK: adidas NEO: What's in my bag? adidas NEO: What's in my bag? Having decided that my "NEO face" was sufficiently wonderstruck, Adidas NEO have put me through to the second round of their Miami competition. Two lucky bloggers will win an all-expenses paid trip to Florida to meet the face of Adidas NEO, Justin Bieber, and the chance to report on the entire experience. For this second task, I have been set a "what's in my bag?" challenge, for which I should present creatively the essential items I would take to Miami. 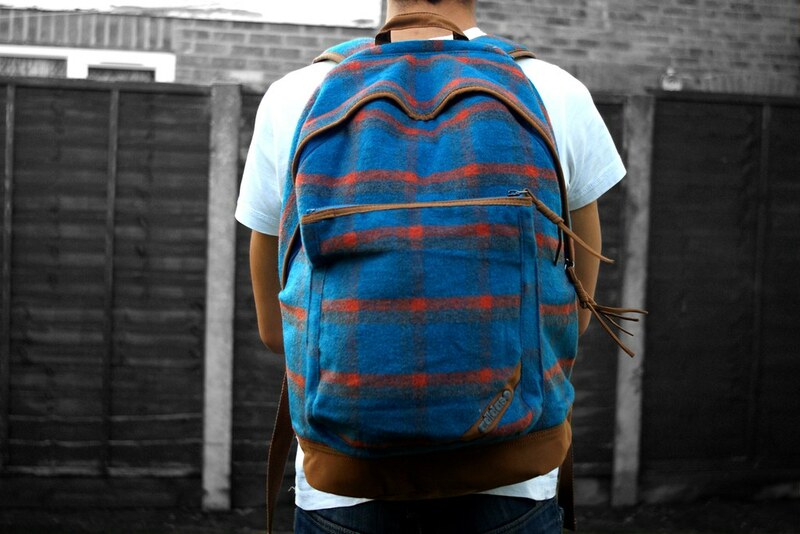 To help me out, I have been generously sent a plaid rucksack from Adidas NEO's autumn collection. Thinking outside my usual parameters, I decided on a stop-motion video. I will admit the final result isn't the pinnacle of perfection, but the desired illusion of my essential items crawling into the bag proved successful. And although it involved six hours of shooting, editing and uploading, the potential prize is worth every minute. Miami essentials include (in order of appearance): laptop computer, Sony α DSLR camera with Carl Zeiss 28mm lens, Minolta 100-300mm lens, Sony α 18-55mm lens, Adidas NEO notebook and pen, shorthand pad, wallet, passport, phone, Spitfire sunglasses, business cards, Amazon Kindle, Fish Soho styling gel and wax, comb, toothbrush and toothpaste. Of course, there is so much more I would take with me to Miami, but these are the items I would be sure to take for reporting duties, networking, leisure, and maintaining a decent appearance. I just hope the means of presentation succeeds in impressing the team at Adidas NEO Label - wish me luck! Wow - that is such a good video!! Good Luck! I love your energy and determination and wish you every success, you certainly deserve it! Love it! And I reckon they are going to love it too! You are totally on your way to Miami! Wowza! That stop motion is amazing! You're definitely in with a good chance with that! Good luck.